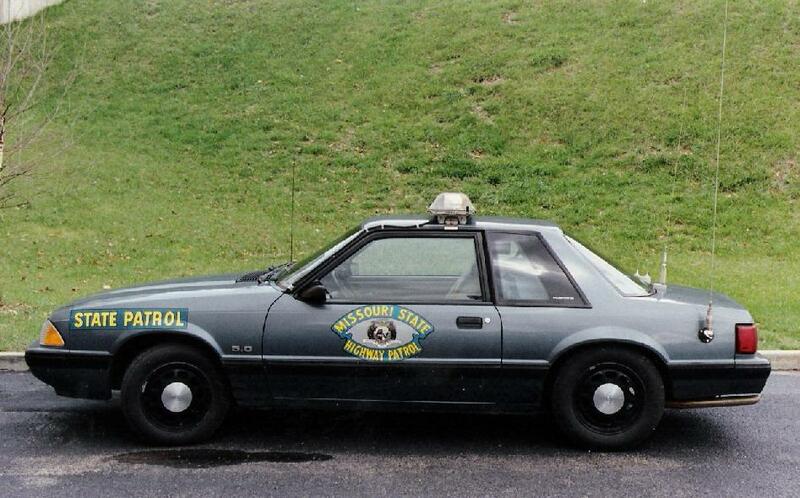 1988 Missouri Highway Patrol. 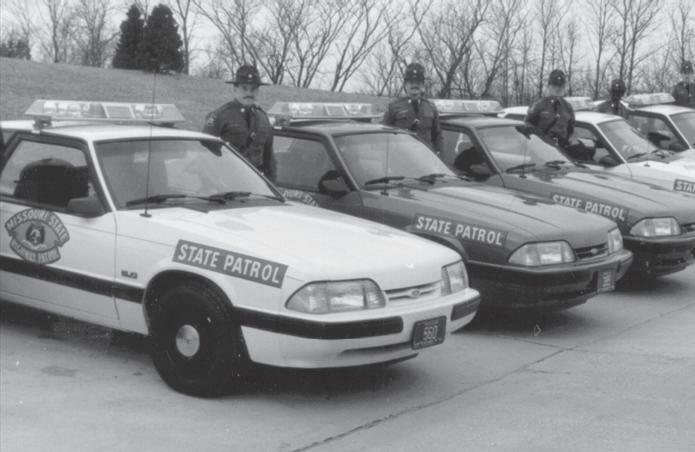 Missouri bought Mustangs in 1988, 1989, 1990, and 1993. 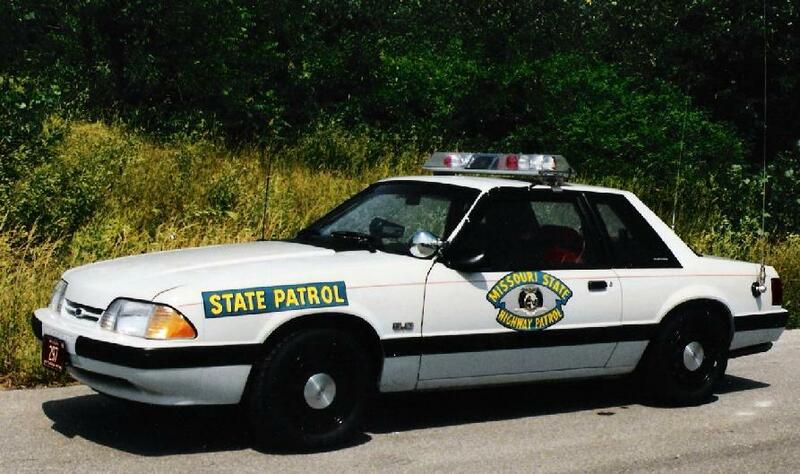 Missouri State Highway Patrol Photo, courtesy of E. Prince. Another shot of the car above. The Code 3 lightbar has individual filters for the rotators. 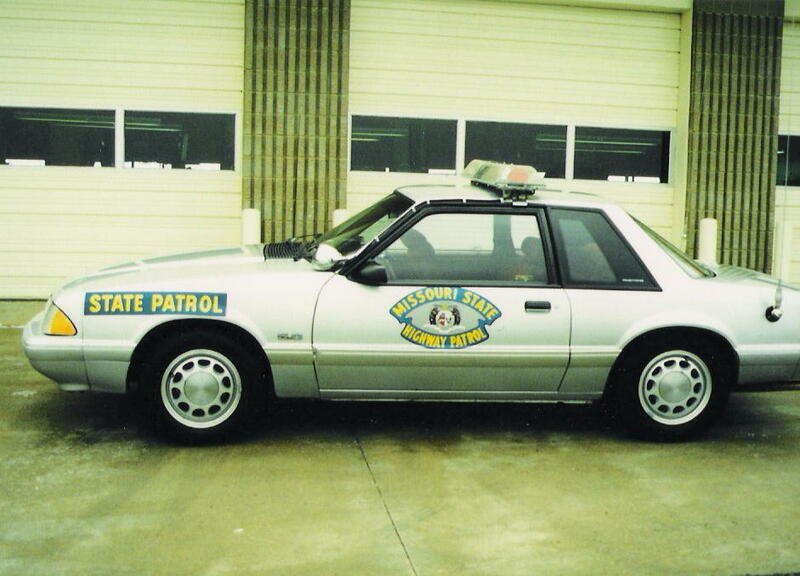 Missouri State Highway Patrol Photo, courtesy of E. Prince. 1988 Mustang. 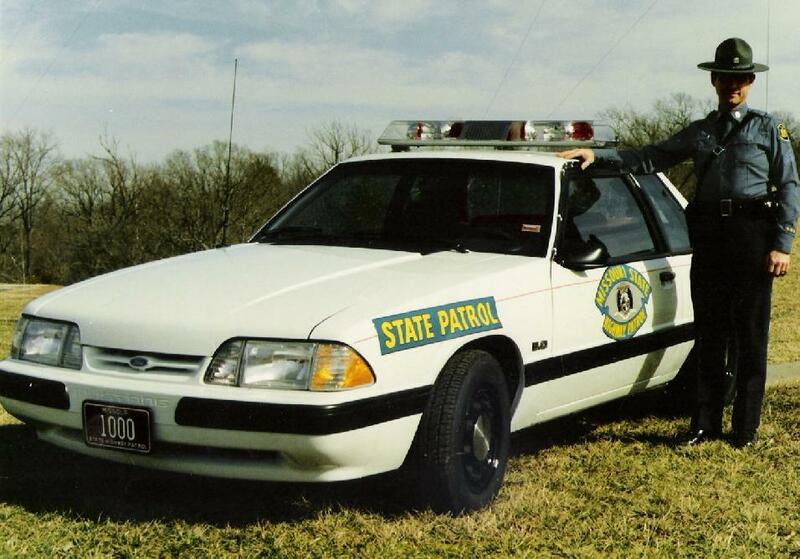 Missouri State Highway Patrol Photo, courtesy of E. Prince. Another 1988, and this one is grey. 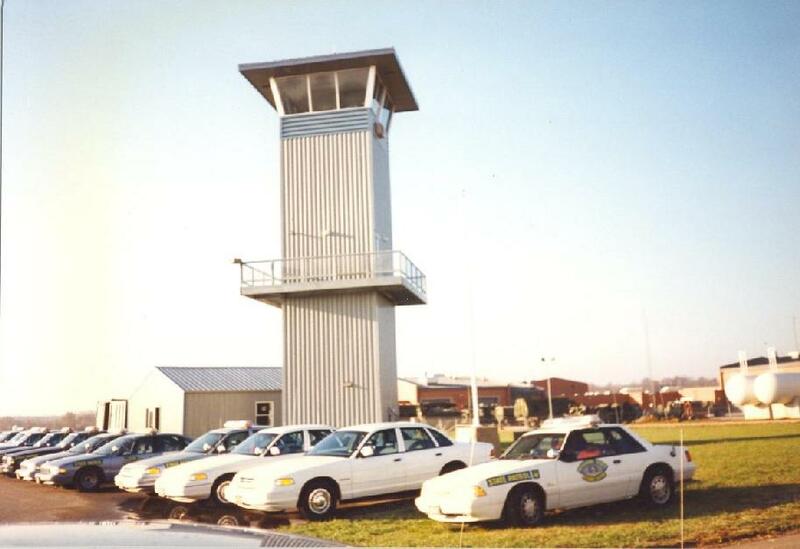 Missouri used cars in a variety of colors. This is a good shot showing how MO ran the lightbar cable down the roof rail molding. 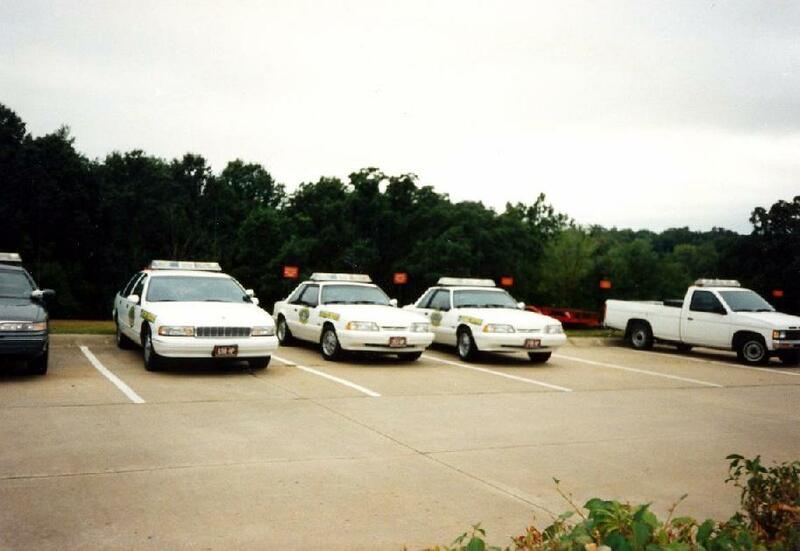 Missouri State Highway Patrol Photo, courtesy of E. Prince. 1988 Mustangs, various colors, nice group shot. 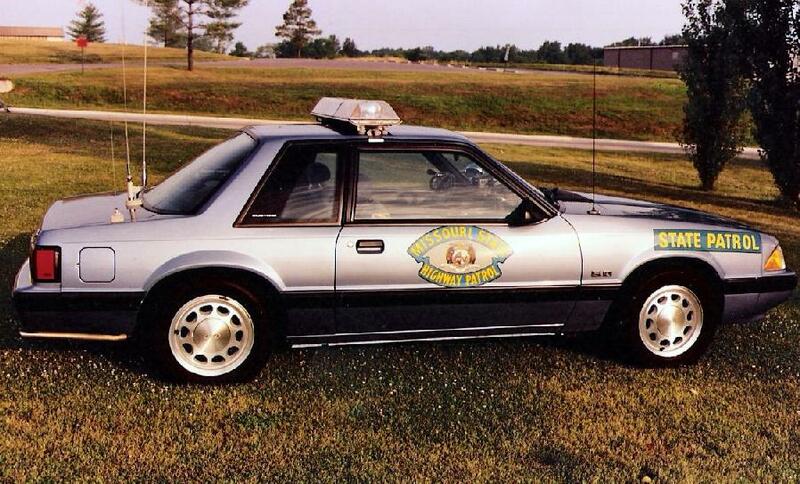 Missouri State Highway Patrol Photo, courtesy of E. Prince. 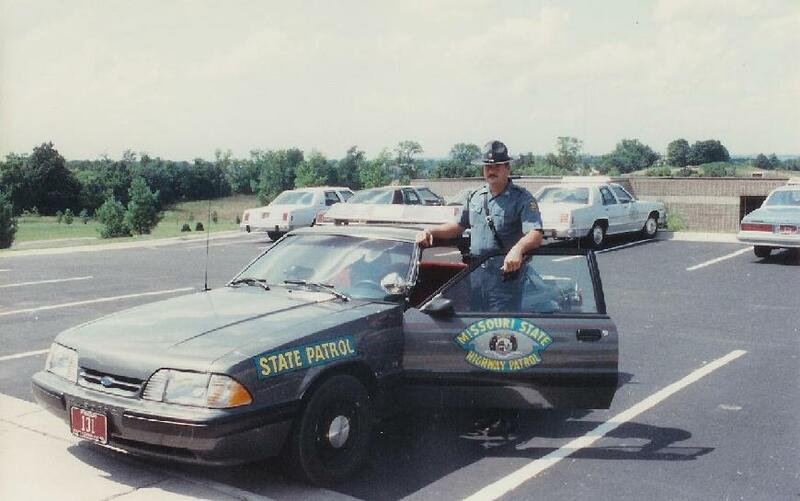 1988 or 1989 MSHP. E. Prince Photo. Another 1988 or 1989 in light blue. E. Prince Photo. 1989 Mustang in white. Matt Campbell Photo, courtesy of E. Prince. 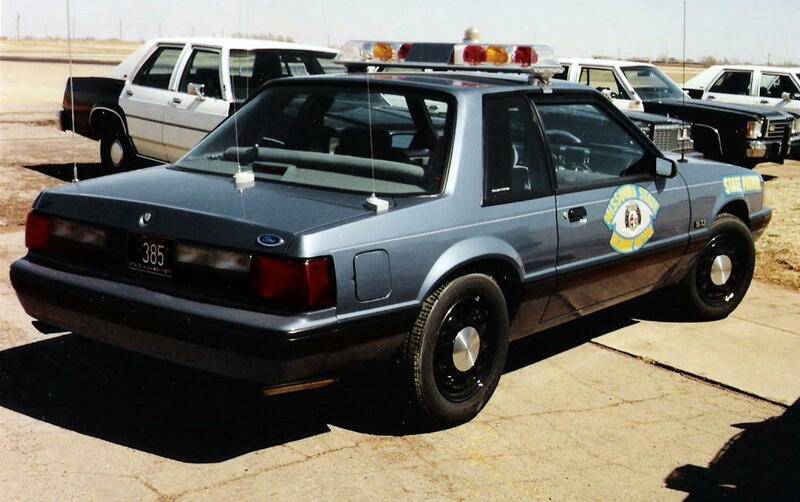 1990 Mustang, this one is blue. 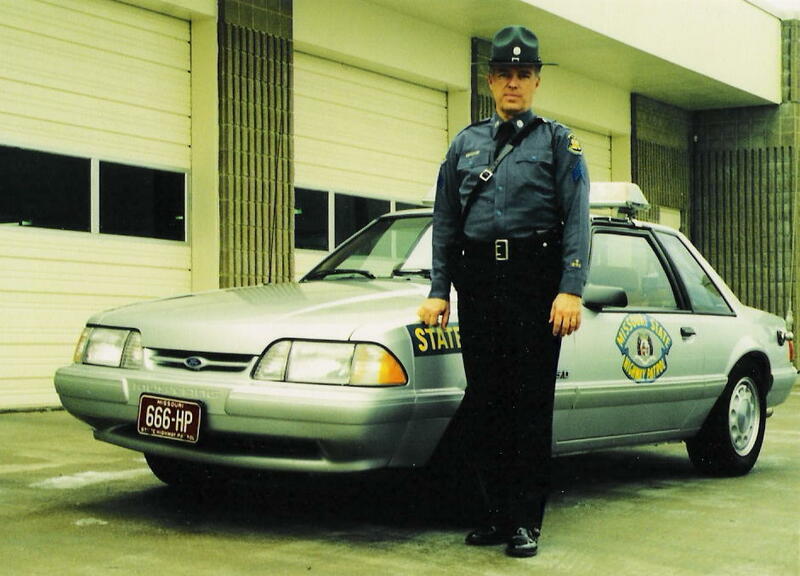 MSHP ret Sgt L. Varner Photo, courtesy of E. Prince. 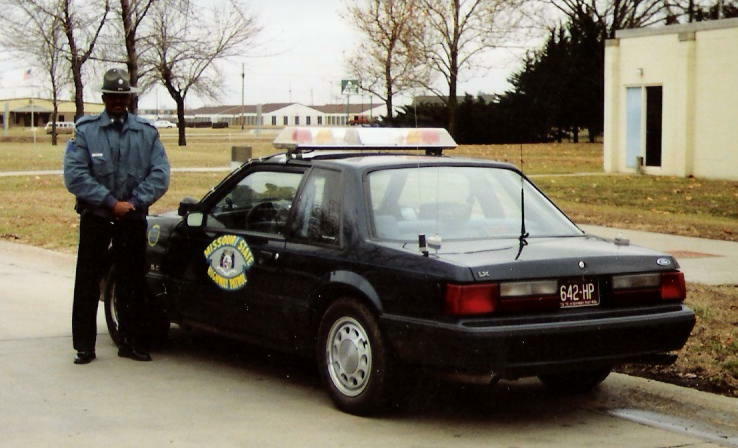 Another 1990 Mustang, this one is dark blue, and is now owned by Gregg H. MSHP ret Sgt L. Varner Photo, courtesy of E. Prince. 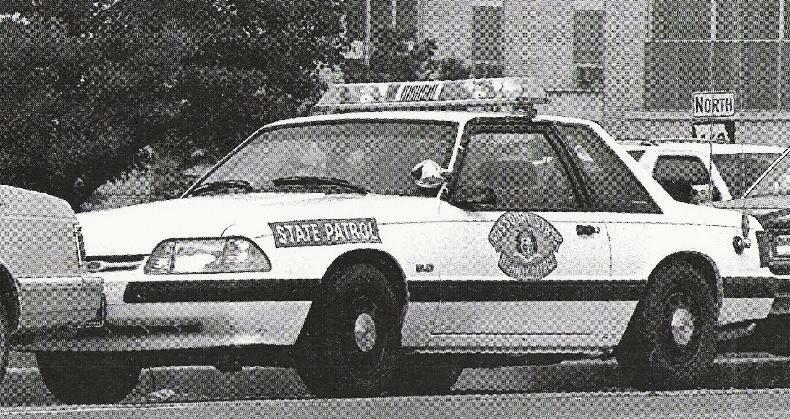 1993 Mustang in silver with MSHP Sgt. L. Varner. MSHP ret Sgt L. Varner Photo, courtesy of E. Prince. Another shot of the 1993 Mustang above. MSHP ret Sgt L. Varner Photo, courtesy of E. Prince. 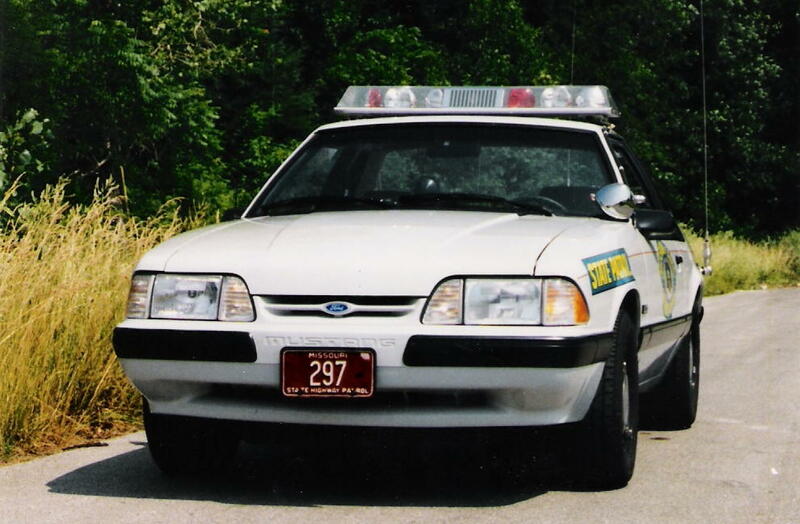 A pair of 1993 Mustangs in white. E. Prince Photo. 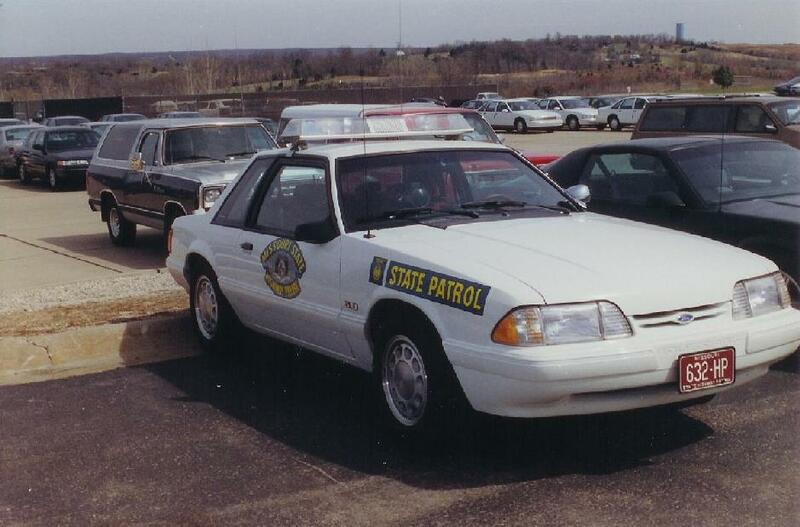 1993 Mustang at the MSHP driving range. E. Prince Photo.